If you own a car with tires on it, then you should be having them rotated on a consistent basis. If you are not sure how frequently the tires should be rotated on your particular vehicle, you can consult the owner’s manual for more detailed information. You will undoubtedly find a suggested schedule for keeping up with tire rotation. Why the need for tire rotation? The main reason that most vehicle owners are diligent with tire rotations is because of the money it saves. Rotating your tires on a regular basis means buying new tires less frequently. Why should you not miss a scheduled tire rotation? One of the big reasons that you should never skip rotating your tires when it is time to do so, is that your tires wear unevenly if not rotated. The effects of cornering and weight are different for each tire, based on where it is positioned on your vehicle. If your vehicle is front wheel drive, then the bulk of the force and energy from the engine is placed on the front tires. In front wheel drive cars, the back wheels basically just fall in line with the front tires and kind of go along for the ride. For automobiles with rear wheel drive, most of the stress will be put on the back tires. The responsibility for handling the steering duties, will still fall on the front tires. For either type of vehicle, tires will not wear evenly unless they are rotated. The tire with the heaviest burden will always wear out more quickly than the others. Although the recommended schedule for tire charge may vary slightly, from vehicle to vehicle, the general consensus is that tires should be rotated every 5000 kms or so. The frequency will depend on vehicle type, driving conditions, tire quality, etc. So, what happens if you don’t rotate your tires? The first thing we will look at is uneven wear. For this example, let’s put our focus on just one tire out of the set. Let’s say the front left tire. So, if the front left tire stays in the same spot and is never changed, it will wear differently than the others. Every time you make a left turn, more stress is being put on the outside edge of that tire. If the car is front wheel drive with the engine in the front, the stress on that tire will be even greater due to the added weight. Once the tire begins to experience heavy tread damage, that damage cannot be repaired. Changing it to another position at that point is ineffective. You will need to replace the whole set. Rotate your tires before it is too late, and irreversible damage has already been done. Can uneven tires compromise safety? Yes, they can. Unevenly worn tires can be dangerous for drivers, passengers, and other vehicles on the road. A severely worn tire can negatively affect handling and braking capabilities. If the tread is seriously worn, it may result in a blown tire with a potentially catastrophic outcome. Don’t risk your safety, your passenger’s safety, and the safety of other drivers. 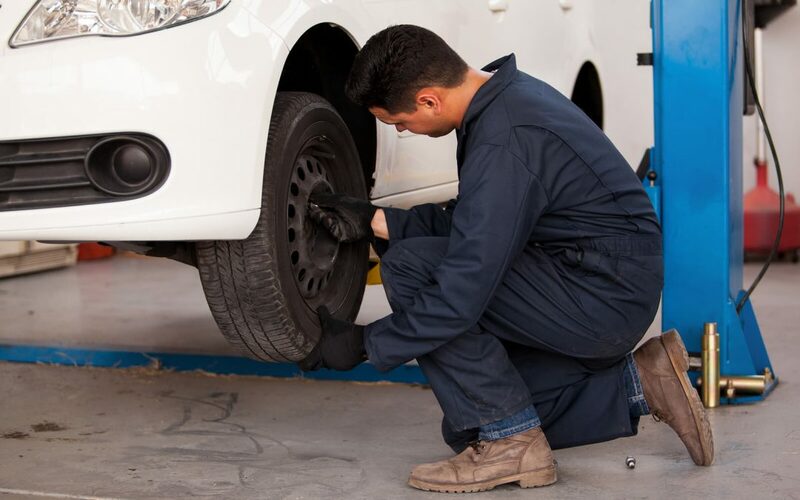 Make sure your tires are in good working condition and are being rotated consistently. Valvoline Express Care is an automotive service provider that has been maintaining vehicles and keeping them safe in the Brampton area for over 20 years.